Too often, when marketers think of attracting new leads to their product or service, they forget one of their most powerful tools: happy customers. There is nothing more attractive to leads than seeing happy customers who already use your service or product. 76% of consumers regularly or occasionally use online reviews to determine which businesses to use according to data from Search Engine Land. Even if positive testimonials never make it to the website, they can be invaluable internally to your sales, product marketing and public relations teams. Here’s exactly how to solicit and gather even more testimonials. Before you send a blanket request to your customer base for reviews on your website, make sure they’re happy first. The last thing you want to do is pass the microphone to customers who aren’t currently delighted with your product or service so they can broadcast their displeasure on your website. That doesn’t mean you want to ignore unhappy customers’ concerns (more on them in a bit), but the goal here is to solicit positive testimonials from people who are genuinely happy with your product or service. But how can you segment the cheerleaders from the naysayers in your email database? Easy—just follow these steps. The Net Promoter Score (NPS) index measures customer satisfaction on a scale from 0-10 by asking how likely they are to recommend a product or service. That’s it. These scores segment customers into Promoters (9-10), Passives (7-8) and Detractors (0-6). 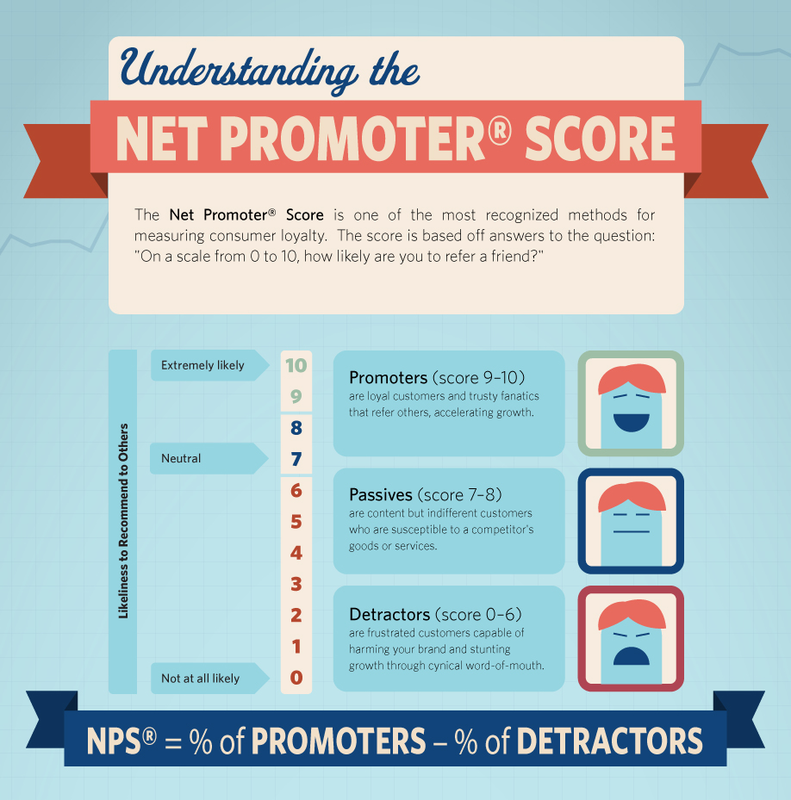 Here’s a snippet from an infographic by referral software company Ambassador to visualize NPS. There are countless uses for NPS data, but the goal here is to identify your happiest customers or Promoters. Another great place to find Promoters outside of an NPS survey is to talk to customer-facing employees within your company (think sales or customer service team members). See if they have any particularly delighted customers who have recently or consistently expressed their pleasure—most tend to have a few bookmarked. Those customers are ripe for testimonials and might be more willing to contribute one if someone they already know from within the company asks them. Make it especially easy for those employees to reach out by writing out an email template to use when they encounter happy customers. Do you have customers who are always engaging online with your content? Retweeting your blog posts and sending you love on Facebook? Or just someone who gave you a one-time shout-out for your product or service? These are the perfect people to solicit for testimonials. After all, they’re already comfortable expressing their delight online. 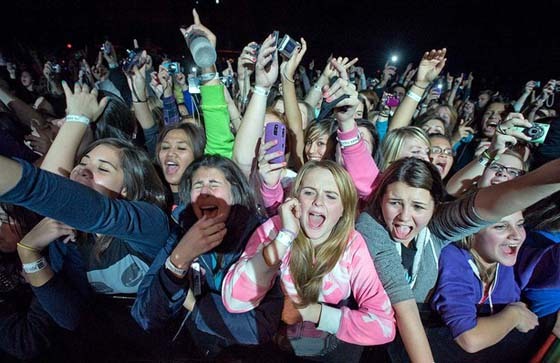 Add these customers to your list of potential Promoters and confirm your instinct with a NPS. Know what looks super suspicious? A website with a block of happy customer reviews that are all posted in the same week. From a user-perspective, it just looks fishy to have too many reviews within the same time window. Avoid this bumper crop of positive reviews and stagger the timing of your solicitation emails. Not only does this system look more organic to your users, but it encourages customer delight to be a continued part of your marketing strategy instead of a one-off effort. It’s awesome when you have a customer organically tell you how happy they are in general on an online review platform. Thank them immediately! But the most effective testimonials are usually used in tandem with a specific business goal. This goal can be anything from recommending a specific product functionality, hearing from a certain marketing persona, or promoting long-time customer relationships. That’s why it’s so important in testimonial campaigns to get specific about what you want from the customer. For example, you may have a product review page, a Google+ page and Yahoo! Review page (in fact, we’ve come up with 12 places you should be soliciting reviews). So, where should the customer focus their attention? Recommend one platform per campaign and clarify what that platform is in your email. Decide which on products or services you’re specifically requesting feedback on and single them out in your questions. If you’re looking for a specific type of testimonial, for example statistics, guide the customer with questions that would have those answers. In this case, you might ask what measurable results they have seen with your product or service. The last thing you want to do is tap into a delighted customer base, get them excited to leave reviews, then leave them frustrated about not knowing how you want them to do it. Make the review process as easy as possible for your customers by including explicit instructions on exactly how to submit the review. If you want to be extra loveable, see if you can embed the review process within the email itself with Google Forms so they don’t even have to leave the screen. At this point, you’ve spent some blood sweat and tears getting those customer testimonials. But you’ve got them now! All done, right? Before you jet off to your next marketing project, make sure to follow up with all the people you reached out to. Here are some customers that are already delighted with your product or service and took the extra time out of their busy schedule to write to you about why they are so darn happy. Don’t they deserve a little love? At the very minimum, you should send a thank you email with the appropriate customizations. But don’t stop there! Use this as an opportunity to make marketing people love. Why not thank them by name or handle or feature their stories on your social media channels? Or send them a little company swag? Or offer free tickets to your next event? Remember, the companies that put the customers first are the ones people actually want to be customers of. Remind these customers exactly why they were so delighted with you in the first place and give them a reason to brag about you to all their friends. When people ask your customers what they think of your company, do you want them to say “meh”? Didn’t think so. Passives, or people who answered 7-8 on the NPS aren’t actively hating on your company, but they aren’t exactly singing your praises either. Since Passives are on the fence, it’s not too late to convert them to delighted customers. Enlist your customer services team for help in creating a nurturing campaign for Passives to bring them to the light. This campaign can start with a simple question: what could my company do to raise your NPS? You could use tactics you might use for lead nurturing, or the process of wooing qualified leads when they aren’t ready to buy yet. Since Passives are customers who aren’t ready to promote your services yet, the principles are pretty similar. For example, one lead nurturing tactic that translates is sending targeted content about the areas the customer might be having the most trouble in. Remember how I said not to ignore those people who answered 0-6 on the NPS survey? I meant it! These are customers who would not recommend your product or service if they were asked. Ouch. Good thing you segmented them—these guys are obviously in need of some TLC. Enlist your customer service team to strategize the best way to reach these people. If you don’t have a customer service team, strategize with some of your customer-facing employees–winning over detractors will probably involve direct outreach. If the customer complains publically, here are some tips to de-escalate social media complaints. Sharing great customer stories should be just as important to your marketing strategy as generating new content. If you’re still hungry for more information on testimonials, here’s a post on accumulating positive online reviews for inspiration. Lindsey Kirchoff is a writer at marketing software company HubSpot with an emphasis on external content. When she's not at her dream job writing about inbound marketing, she also discusses millennial/GenY marketing and job hunting on her personal website. Find her on Twitter LindseyKirchoff.